So Shannon Watts claims that there are less than six million NRA members and that represents 1 in 10 gun owners, therefore according to her there are only 60 million gun owners. Keep in mind that this is from the same Wonkblog that said gun ownership is at record lows. Personally I think her numbers are way off, but what is really scary is her message. That is the very reason that the Constitution and the Bill of Rights exists, to prevent that attitude from manifesting into law. Consider if someone said “blacks are only 13% of the population, we can strip them of their rights if we want.” It’s exactly the same idea, just targeting a different group, especially if focus on gun ownership as a culture and not just an act. Nothing warms the cockles of the Leftist heart like targeting a minority for scapegoating and oppression. The only thing that changes is the minority. Careful there Shannon. We have a Constitutional Republic to prevent majority mob rule that you advocate. Thank you for revealing to all that you are just an evil despot who relishes absolute control. Shannon, keep deceiving yourself about our firearms. You may find out that we have one behind every blade of grass. After reading the washpoo article I find it base on speculation to produce a propaganda piece. If in 2007 the record yr for member income was mainly for life membership ( as was mine) then no further membership money from those ppl will show on the mem income in following yrs. 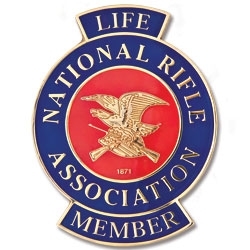 So a drop in mem money can indicate a massive build up in life membership The igit from washpoo would have to know how many life members the NRA has to even begin to speculate on mem numbers and they aren’t going to tell him. It’s just another fantasy attack on the NRA.